…And thus began week 2 of the Masschallenge Boot Camp. As you might remember, week one rapidly introduced us to the startup universe, introducing us to the skills we’d need to help AltrUHelp win! But even with all that we learned, we had no idea what was in store for us in week two. Masschallenge really kicked it up a notch (or a couple of notches). We saw more CEOs this week than all of CNBC’s anchors combined…except maybe Jim Cramer. Last week marked the beginning of the FINALIST round of the 2011 MassChallenge Global Startup Competition—the world’s largest startup accelerator. 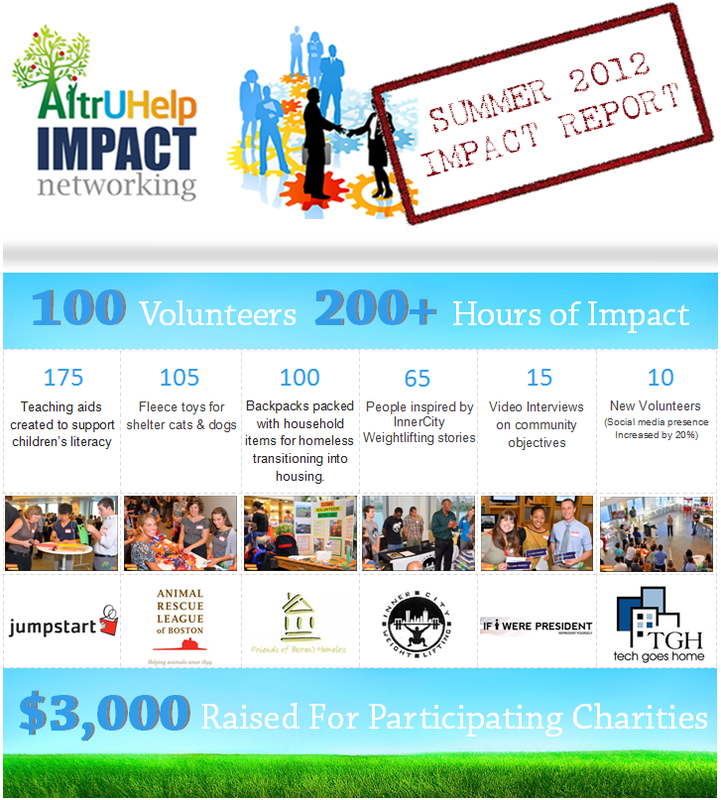 Over the next three months, AltrUHelp and 100+ other startups will compete for a slice of $1.2 million in funding. Each company has been awarded office space in the brand-new One Marina Park Drive through October along with access to lawyers, business mentors, investors, and support staff. Day 1 of the finalist “Startup Bootcamp” began with Scott Griffith, CEO of Zipcar, discussing the importance of constant personal development, sharing his incredible story of battling cancer while growing ZipCar 8000%. Bill Warner—founder of Avid Technology and inventor of nonlinear video editing—urged the audience to avoid compromise and maintain integrity, offering his own mistakes as evidence. MassChallenge is the world’s largest $1 million startup competition & accelerator program that connects early stage entrepreneurs to the resources they need to launch high-growth, high-impact businesses. Last week MassChallenge joined by Governor Deval Patrick and business leaders, announced AltrUHelp as a FINALIST in the world’s largest start-up competition. Hundreds of expert judges from the startup ecosystem (CEO’s, lawyers, VC’s, angel investors & more) selected 125 finalists after several rounds of judging on 733 original startup entry applications from around the globe (24 countries). Hello AltrUHelp Believers and Welcome New Readers! I would like to thank each of you for your tremendous support! 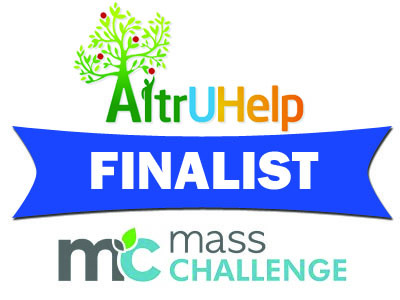 AltrUHelp has just entered the 2011 MassChallenge Global Startup Competition because of your belief in our mission: to build the world’s largest online altruistic social experiment to prove humans enjoy helping each other and being helped themselves. Below you will find a video we have created to help our new readers and the judges of MassChallenge understand our passion for inspiring a NEW WAVE of global altruism and human collaboration. We hope you enjoy this video and encourage you to share it with your friends and family. With your vote, we can inspire altruism and spark a new global movement. Thank you for your support!